French-German theologian, organist, philosopher, and physician Albert Schweitzer said the purpose of human life is to serve, and to show compassion and the will to help others. For our young professional Sharnelle M. Leonard, that purpose comes in the form of teaching. Sharnelle is a 7th and 9th Grade Science Teacher at the Elmore Stoutt High School (ESHS). She is still a fresh face at the school, having been there for just about eight months. 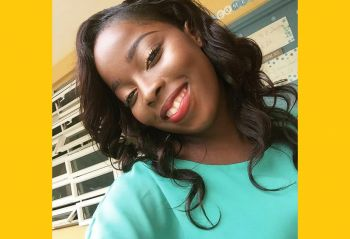 Being a young new teacher no doubt can be challenging at times and, for Sharnelle, she is humble enough to admit that and seek advice from her fellow staff members. Reaping much satisfaction from her profession, SharneIle said she would love to become an “established” Science Teacher. Sharnelle M. Leonard attended the BVI SDA Primary School and the Greater Miami Adventist Academy in Miami, Florida. 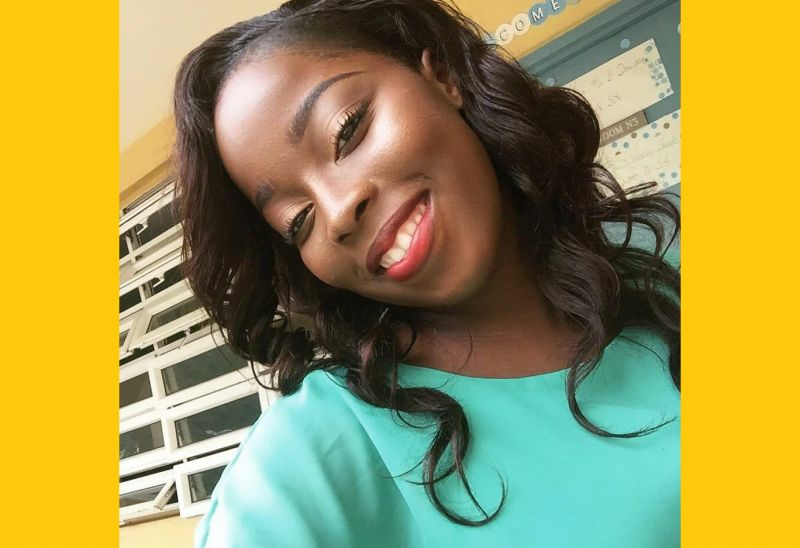 After returning to the Virgin Islands, she completed High School at the BVI SDA Secondary School where she was awarded a full 4 year scholarship. After spending 2 years at H. Lavity Stoutt Community College (HLSCC), she received her Associate’s Degree in General Studies- Biology. In 2013 Sharnelle enrolled at the University of Central Arkansas (UCA), aspiring to become a nutritionist. In 2015 she became a certified nutritionist after receiving her Bachelor’s Degree in Family and Consumer Science. ‘Teacher Sharnelle’ said she has a passion for healthy eating, and that passion drove her to complete her Bachelor’s Degree in Family and Consumer Science (FACS). “Although I am a teacher full-time, I still enjoy preparing meal plans, having nutrition consultations and conducting nutrition assessments. I take pleasure in encouraging persons to move forward, take steps to change their habits and become empowered and inspired. Sharnelle shared that her biggest inspiration is her family, and believes she would not have been where she is today if it had not been for them. Teacher Sharnelle, who seeks to inspire others to be positive and productive, was sure to share some advice to young people to encourage them to pursue their career ambitions. “You get out what you put in. In order to reach your goal, you have to be willing to put in time. You are in charge of your own future. There might be several setbacks but with God all things are possible. Keep pushing and you will move forward. Congrats my friend. You will do great as a teacher. Wow, she is gorgeous!! Good going young lady. I am so proud of Sharnelle! She is an amazing friend and good person to be around. Keep it up Sharnelle! Proud of you ! You deserve all you have achieved and more! The only way to go is up. Proud of you Sharnelle. Keep pressing forward. Great job Sharnelle, you have grown into a wonderful woman. Keep God first and you will soar higher all the time. Great words of wisdom that you shared. Great pick VINO. We are proud of you, continue to do well! Congratulations on all your achievements.I regret that I do not see you at church as often as I would like.Your contribution would be valuable there as well. You have chosen a noble profession. The territory is grateful.